I must’ve heard this line and this song a million times esp. in a drunken stupor particularly in a pub eponymously named ‘Toto’ in Mumbai. While nursing the hangover the next day blurred imagined visuals of Kilimanjaro and Serengeti remained. Of course, Geography being a favourite subject of mine in school (thanks to my Mom who was a Geography teacher) did fuel enough curiosity while growing up about this stupendous volcanic crater 5,895m/19,340 feet high called Kilimanjaro and the surreal Savannah grasslands – Serengeti (more about this in the next blog post). 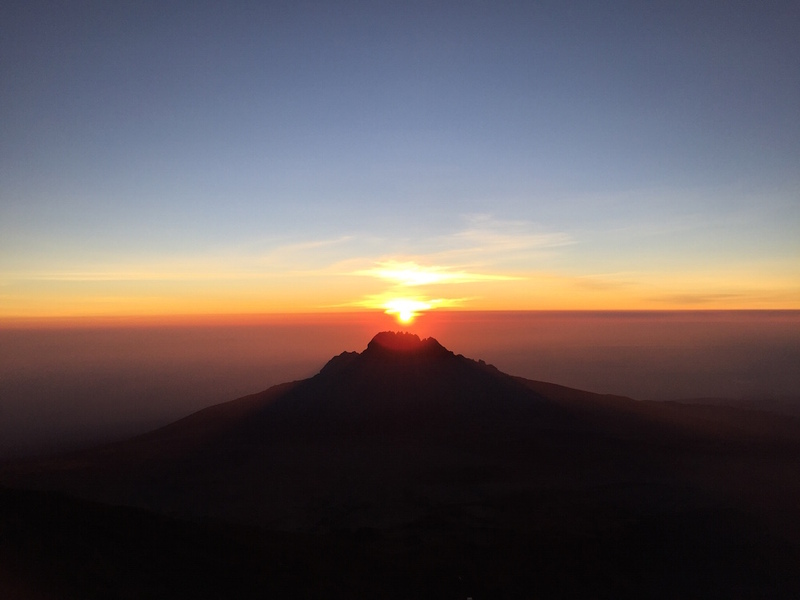 But the question was, why should I climb Kilimanjaro? It’s not exactly a walk in the park. At least 10 people die every year climbing this mountain. So, as a typical, rational Libran I analysed and came up with the following possible answers. I safely chose the last answer. However, the question remained. And it was the same for everyone in the group, though no one mentioned it initially. The group (five of us) was a motley crew of my batchmates from B-School. All of us completely different from each other in personalities, professional and personal backgrounds. And we will be spending so much time together (after 20 years) in this hostile, high altitude environment in really roughed out conditions. I was so dreading it. However, I was also looking forward to it. For the unknown. For the camaraderie. And for the fact that in last five years I had cancelled my Kilimanjaro climb twice due to multiple reasons. The song reverberated in my head. I flew in from Bangalore to Mumbai, where I met Viji (from Bangalore) and Venky (from Chennai). Viji was an IT services veteran and one of the most chilled guys from the campus. Venky was a investment banker turned entrepreneur. 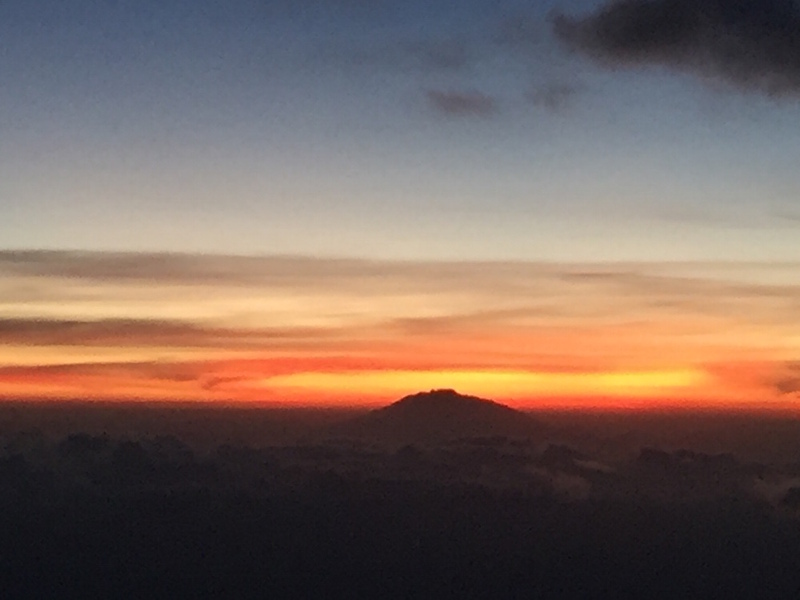 We were flying from Mumbai to Nairobi to Kilimanjaro airport. Our whatsapp group was buzzing with activity with selfies and status updates from everyone in the group. Prof. another investment banker turner entrepreneur was flying in from Bangalore-Dubai. 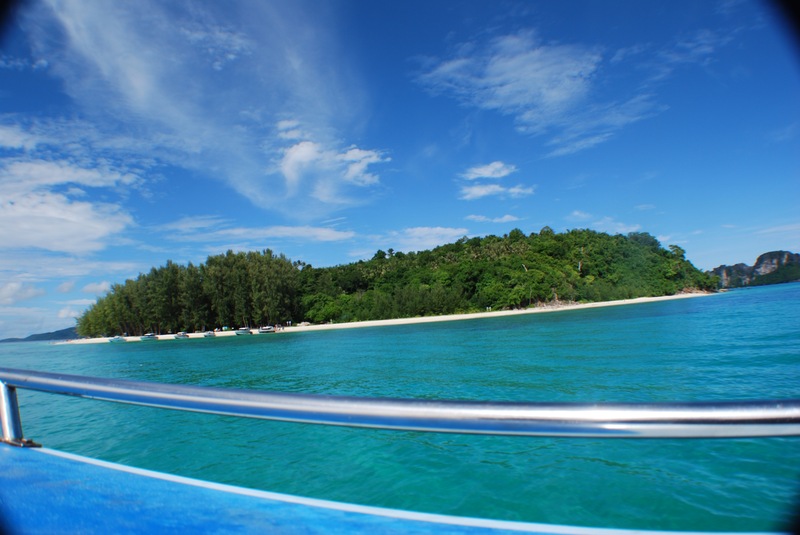 RP a last minute entrant literally had already reached Tanzania and was diving in Zanzibar. Tho’ he would join us later for the safari. The flight from Nairobi to Kilimanjaro was delayed and we eventually reached the hotel in Moshi in the wee hours of the morning. The next day all of us finally met at the hotel in Moshi, which is the gateway town for the Kilimanjaro climb and the Safari. Later, we went out to explore Moshi, which is a small town with a its market, souvenir shops (its cheap to buy from here), some good restaurants and cafes and a golf course (where Prof. and Prakhash golfed around). Many of us were meeting each other after years. The initial euphoria of meeting each other quickly subsided as we were reminded of that particular fact….20 years since campus…age…mid-life…and all that. 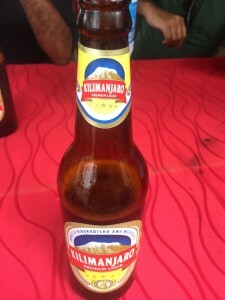 However, it was short-lived as we now had Kilimanjaro…errr….the beer, that is. And again it was like how it was in the campus 20 years ago. We talked about the same things as we did in campus – global warming, impending financial crisis, IT services, entrepreneurship, high-altitude trekking and world peace. It was all about beer, football and women!! Just like how it was in the campus. Not necessarily and definitely not in that order. Well, to be fair we did talk about the topics mentioned above, but clearly the flavour of the conversations were dominated by the latter then and throughout the trek. 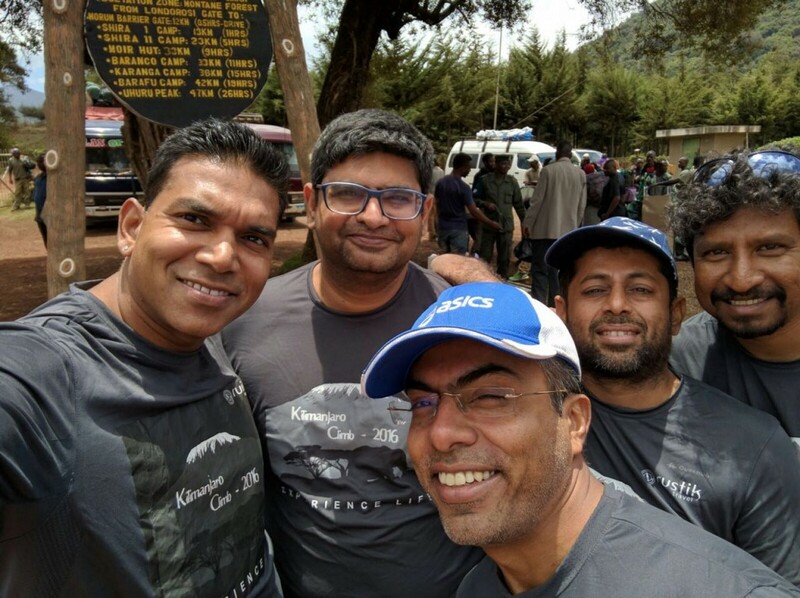 What happened when five MBAs were in the campus and when they meet on Kilimanjaro 20 years later? Still the same. They get high. 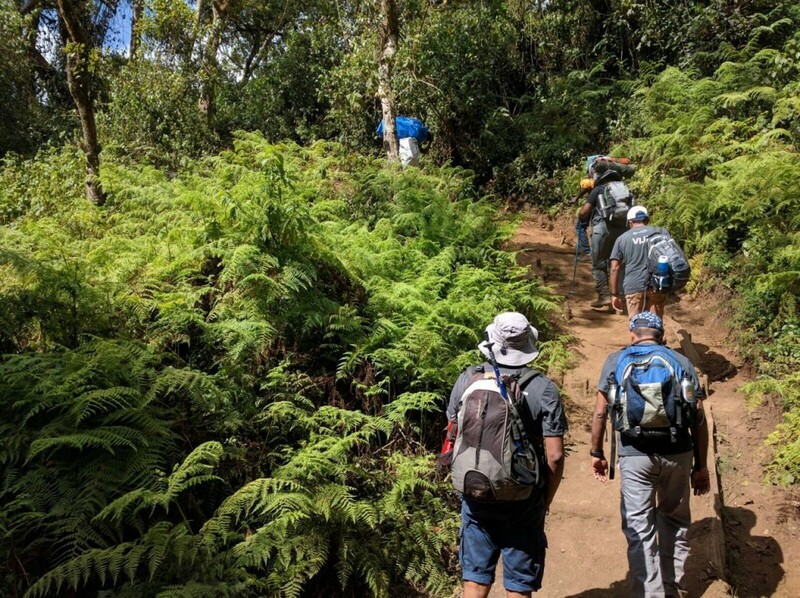 We were taking the 8-day Lemosho route to climb Kilimanjaro. A long route no doubt, but it would give us ample time to get acclimatised, considering the fact that everyone in the group (except for me) had never been to such an altitude ever in their lives. I had climbed higher than Kilimanjaro in the past in the Himalayas and in fact, had climbed a 6150 m peak in Ladakh just a week ago, so I was very well acclimatised. We drove to Londorossi Park Gate (2,250 m) to register and get our luggage weighed (as there are strict rules about how much weight a porter would carry). 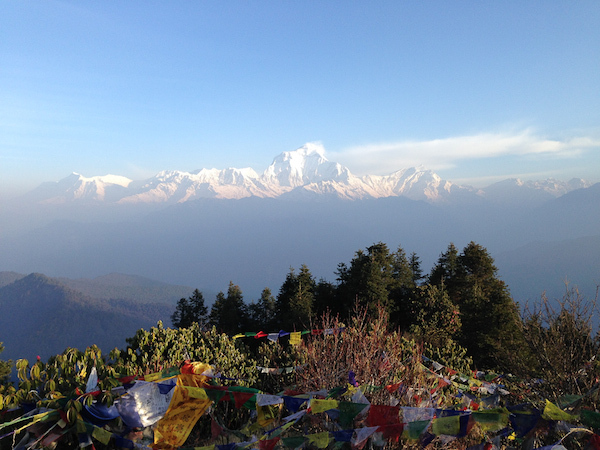 The sight that welcomed us was disbelief and bit disappointing with the crowds of trekkers and their porters/guides thronging the gate. 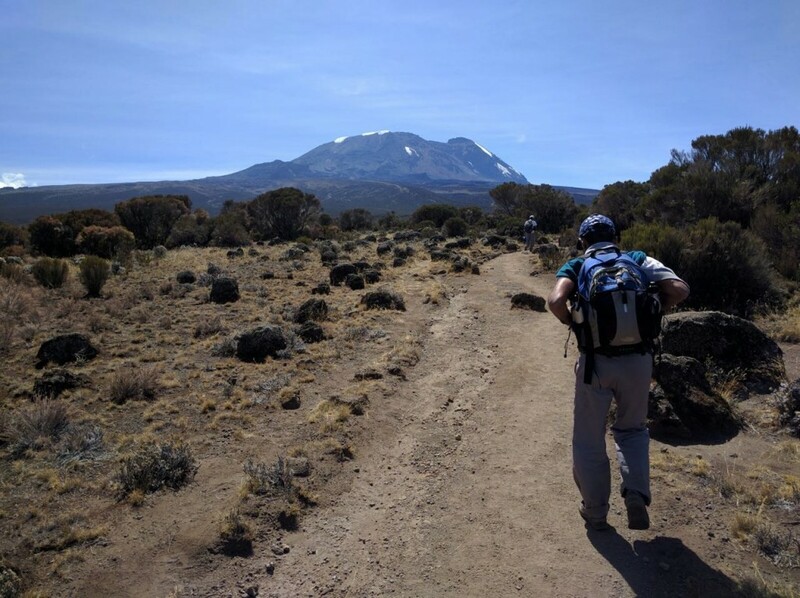 Kilimanjaro trek after all is one of the most popular treks in the world. After the registration, we drove again to Lemosho Gate (2,100 m), which is the starting point of the trek. After lunch, we set out on a path, which was fairly flat passing through the rain forest and characterised by unique vegetation of tall evergreen conifers and big Podocarps Milanjianus trees. 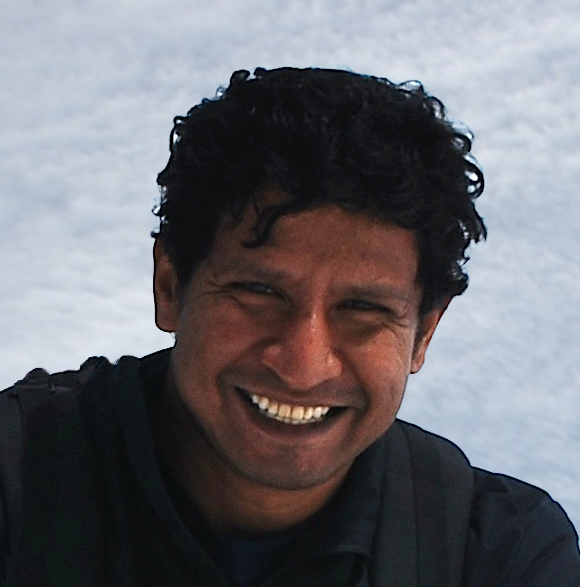 Living Maleo, our guide, a jovial chap and a veteran climbing for more than a decade now was with us all the way imparting this knowledge about the fauna and flora, which I just wrote about. Where is the nearest pub? – For this one you’ll have to ask the guys. The campsite at the Big Tree Hut was crowded, congested and yet energetic with song and dance by the porters of various groups. Venky was tired but enthused with this kind of welcome and was looking forward to the same in the days to come. The day was warm but the night was cold at around 10 deg celsius inside the tent. The morning was welcomed by all after waking up from their sleeping bags in their respective tents. This was relatively a new experience for most of them and it was encouraging to see a positive attitude about the whole experience. After breakfast (read porridge), we set out for Shira I. The terrain gradually got steeper and entered the giant heather moorland zone. We stopped on the way at cold and foggy Shira plateau for hot lunch and then were on our way to Shira I. 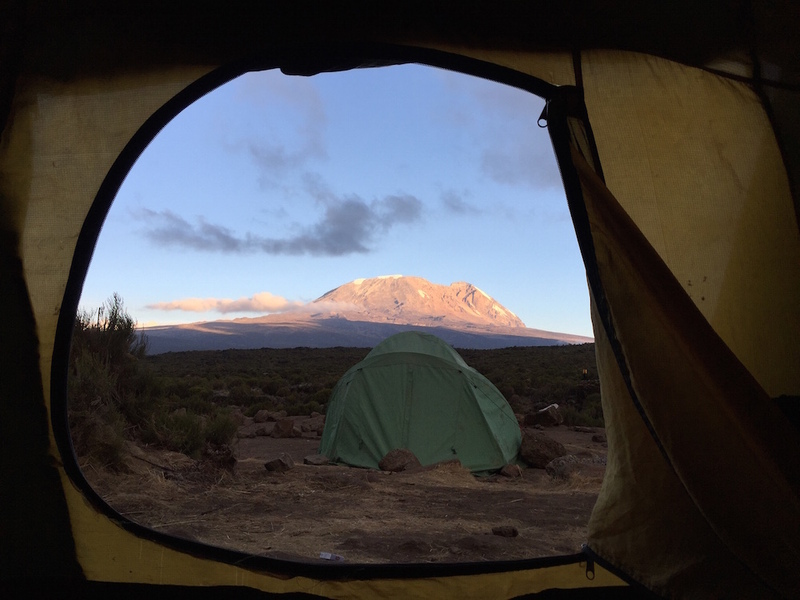 The imposing Kilimanjaro peak was visible from the camp, reminding us of the task ahead. Post-dinner after the usual chit-chat on usual topics (world peace and global warming), we had our customary briefing, where I along with our guide Living checked everyone’s health. This was the highest altitude anyone had climbed and everyone was doing well. Venky who was expecting the usual song & dance was a bit bit tired tho’. Tonight I shared the tent with him, 20 years after we shared the room in hostel in the first year of MBA. He has a complete opposite personality from mine. Surprisingly, not only we survived each other but also managed to forge great friendship over these years. It was really cold in the night with the additional wind chill dropping the temperature down. After breakfast (porridge again) we started off. It was a very warm day. 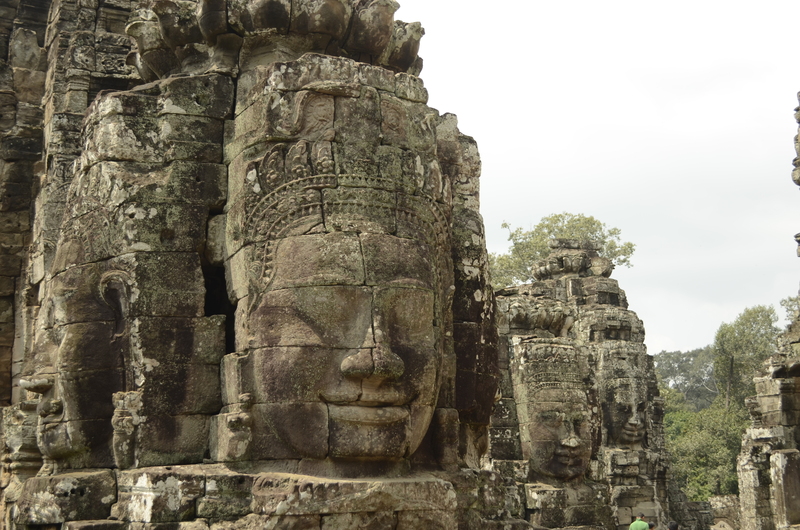 As always Venky asked our guide Living at every half an hour how long will it take to reach Shira II? I was walking slowly with him while the rest trudged ahead. 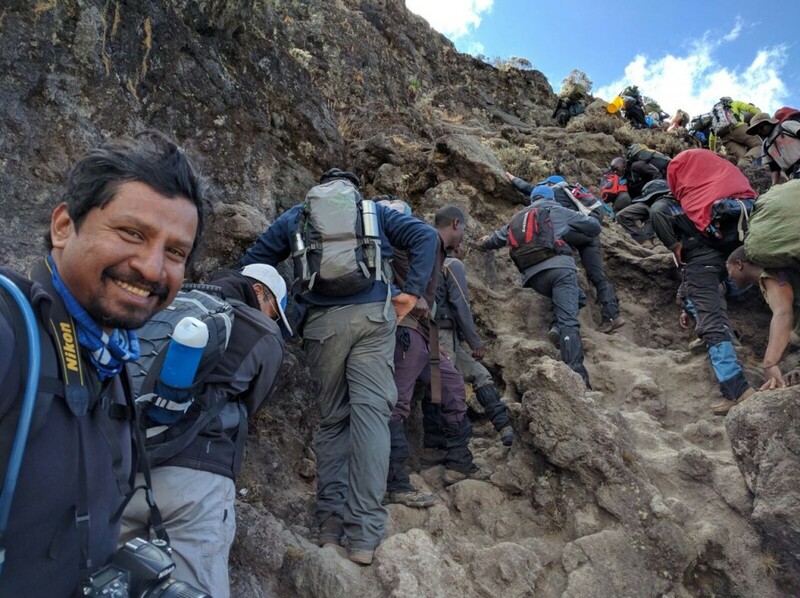 It was Venky’s first trek ever and he had developed a good system, with forced pit stops every half-hour drinking water. Very sensible indeed. First rule of high-altitude acclimatisation is drink lots of water/fluids, helps in blood circulation and carrying oxygen. Second rule – walk slow. Pole Pole as the porters and guide reminded us continuously. It was really an easy walk in the across the plateau, with almost a flat trail all throughout. The terrain was essentially a moorland, with a few streams running here and there supporting the unique vegetation of the place. 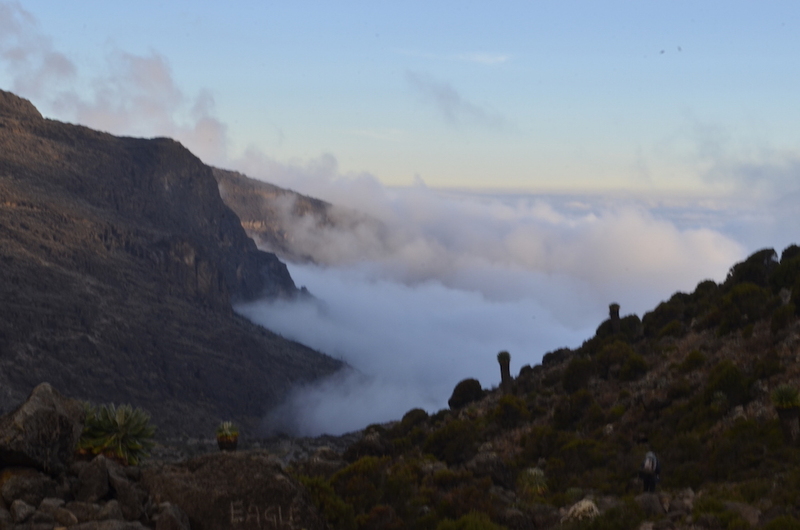 The Shira II camp was really beautiful literally on the clouds overlooking the beautiful Mt. Meru peak on one side and the imposing Kilimanjaro on the other. However, the news was not good. The warm day and the altitude took its toll. It affected everyone esp. in the night with interrupted sleep that included delaying loo urges due to chilling cold outside the tent. Prof. was completely dehydrated and was feeling the effects. An avid golfer and cyclist, he had been walking very comfortably throughout. 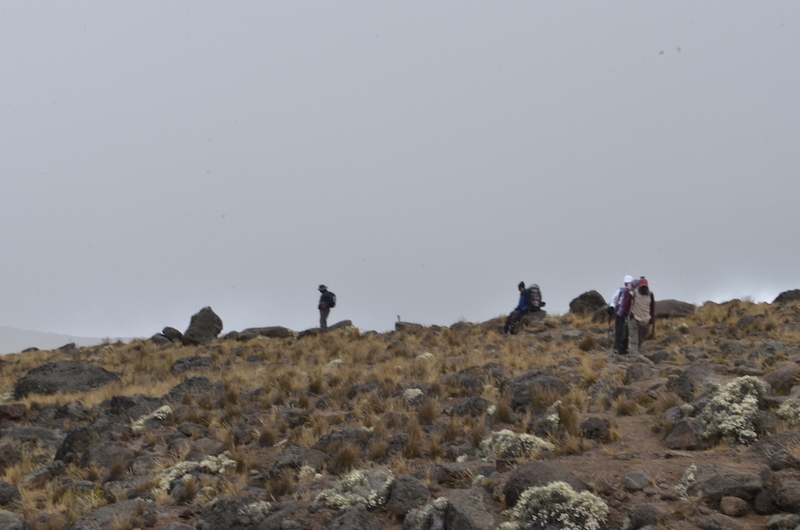 But altitude sickness can affect anyone irrespective of how fit or unfit they are. Prof. decided to turn back. I supported the decision as that was the best option to go to lower altitude immediately when altitude sickness hits you. Not sure if he found the answer why he was doing this, but he definitely knew why he shouldn’t be doing this any further akin to his life choices over the years moving away from the corporate rat race and related unwanted stress. Today was going to be a very long day. We had a good breakfast (not porridge this time). 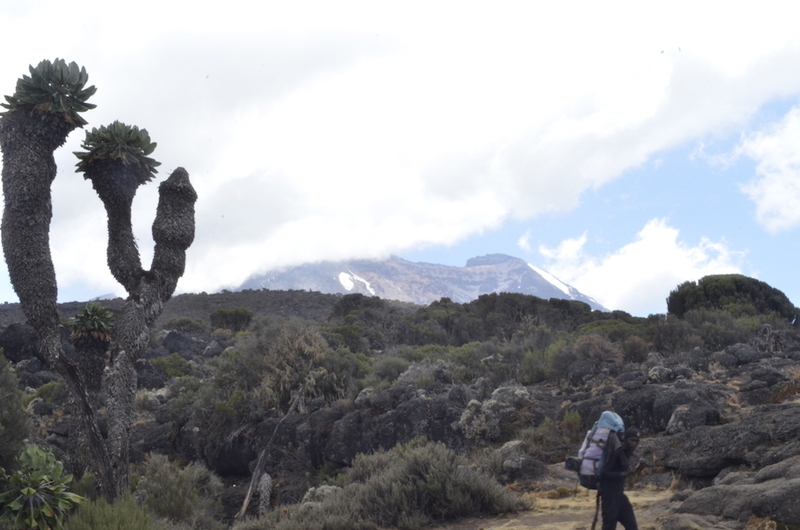 As we move away from the scenic Shira II camp, we moved towards the junction near the peak of Kibo and then climb up towards the Lava tower where we stopped for lunch. I was cold. I was starving. The hot lunch was a huge welcome. I ate ravenously. I was thankful I had good appetite at this altitude. After the tower, we climbed down through precarious steep path strewn with rocks and boulders. The climbing down eventually becomes a bit easier as we approach the camp but it is painstakingly unending. 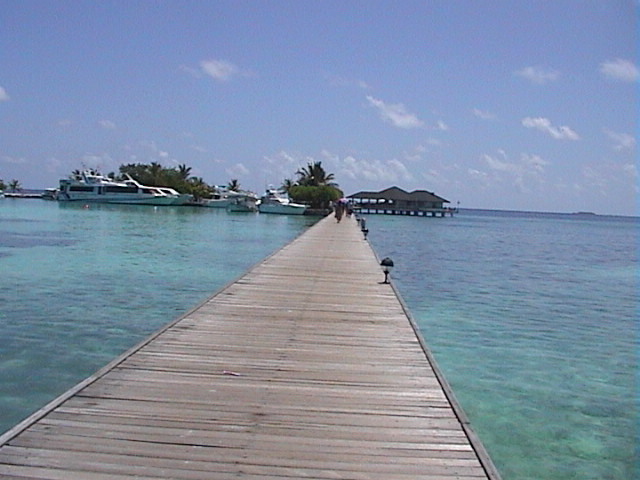 Throughout the day I walked with Venky while RP and Viji walked ahead. The day was foggy and cold, which finally got to me as well. With a tired mind and body throughout the trek I tried to look around the surreal landscape created by the volcano millions of years ago and the unique yet beautiful vegetation, which grew in that hostile environment. I pondered how life always find its way. Back in the camp in the dining tent nobody spoke a word. The exhaustion and altitude had affected the morale. We didn’t even talk about beer, football and women. Even the order didn’t matter. In the morning, with rested body and soul everyone was back in their elements. Venky with his incessant questioning on the route and ‘pappeeee’ remarks and jokes brought back the enthusiasm. There was no turning back. Nobody wanted to repeat yesterday. However, the Baranco wall looked more imposing that the Kilimanjaro at a distance. The Baranco wall is a steep 250 m wall with no clear path. One has to scramble, crawl and do whatever to climb. The rock climber in me was delighted trying to explore alternate routes. RP too joined in my enthusiasm. Venky and Viji were clearly not amused. While RP and I took some ‘daredevil’ shots manoeuvring through the rocks, I was amazed at his strength. RP was on a Ketogenic diet (zero carbs), which I totally disapproved and still he was climbing well and thus aptly named “Keto Baba”. These unconventional choices stemmed from his life as well, be it taking long sabbaticals – traveling, climbing, diving and working on his own term at Microsoft. He had cancelled his month long trip to Morocco to join us just weeks before the trip. After climbing many ups and downs, facing many questions from Venky we finally reached Karanga. Early morning we were given the customary bowl of hot water to cleanup. Over the past few days we had learnt to maximise the usage of this little amount of water in the evenings and mornings to cleanup. Considering the fact that water was at really short supply in this volcanic region and porters had to carry it for miles. 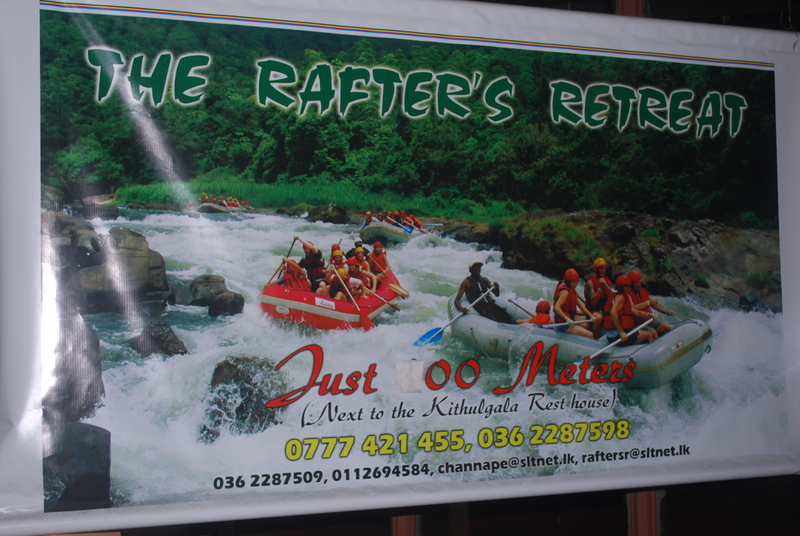 For example, the water supply for the Barafu camp was from the stream at Karanga a good 4 hours away. I was reminded of the river Cauvery issue back home in India and how water is so precious. Today was an easy climb for all of us. From the camp the imposing Kilimanjaro was looking even closer. We rested throughout the day. 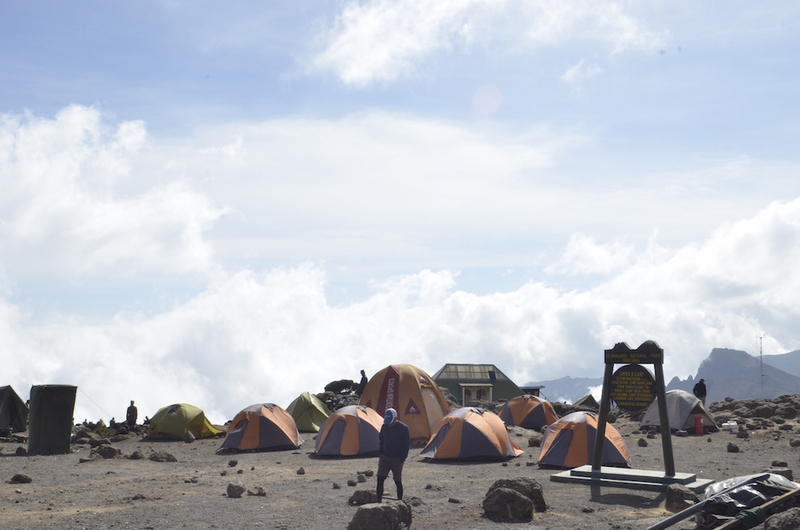 The plan was to have an early dinner, sleep and start climbing towards Kilimanjaro at 12 midnight. Venky had decided to opt out. All of us respected that decision. Here he was relatively less fit, on his first ever trek at this high altitude reaching 4,600 m. It was an amazing achievement. And he did it without a single complaint or crib. I think he truly embodied the true meaning of the phrase “Attitude is Altitude”. While we tried to sleep, RP (the gadget guru of the group) was somehow getting data network on his mobile. Checking social media and US markets took immediate precedence over reaching out to family back home. We discussed what and how many layers to wear, things to carry before we tried to sleep. I could see anxiety in RP and Viji’s faces. And I tried to cheer them away with my made-up enthusiasm and confidence. Back in the tent away from their glare, I tried hard to counter the huge butterflies in my stomach, these come every summit night. We hardly slept as we woke up and eventually started walking at 12:15 pm long. With our headlights on we started walking the steep rocky climb near the camp. It was a pleasant night well illuminated by the beautiful full moon. 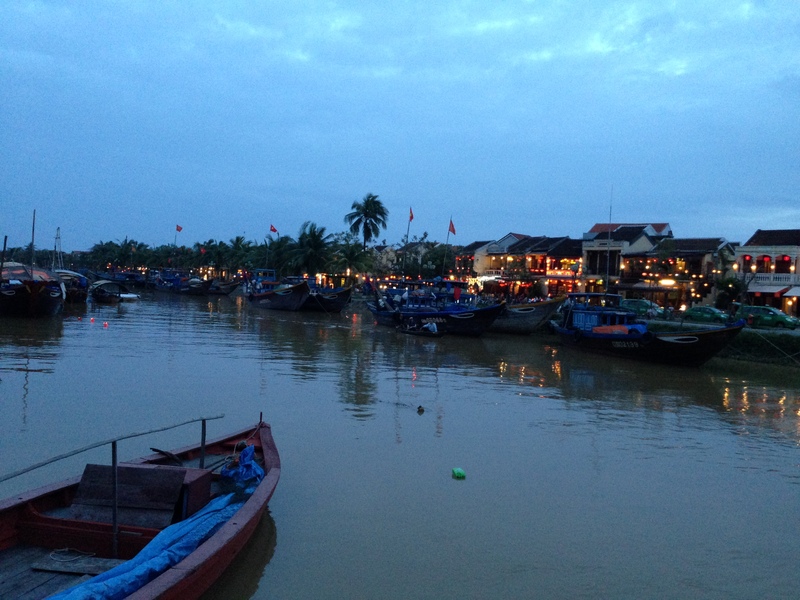 We were accompanied by three guides – Living, God and Frankie. As always I decided to walk in the rear walking slowly. Lately this has worked for me, a natural fast hiker, slow climbing has helped me preserve my energy well, but it also exposed me to cold. And boy, come 3 am with the winds the temperature dropped to some -15 to -20 deg celsius. Thanks to the hand warmers that the gadget guru (RP) had bought with him, avoided frost nipping this time. I had never encountered such cold on a summit night even in the Himalayas. Somehow, along the way Viji and his guide God broke way from us and went up ahead. RP was feeling the altitude and took measured steps, while I felt fine thanks to the acclimatisation in Ladakh a week before. But both of us prayed for the sun to come out fast as we longed for some warm sunshine. The sun took its time while we trudged in a zig-zag serendipitous steep path. 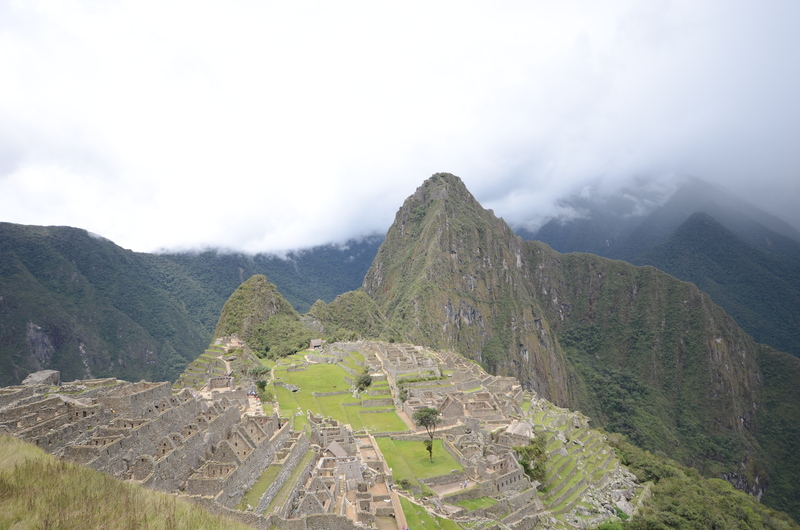 It was a boring climb with no change in scenery and terrain, just the drudgery of walking up. 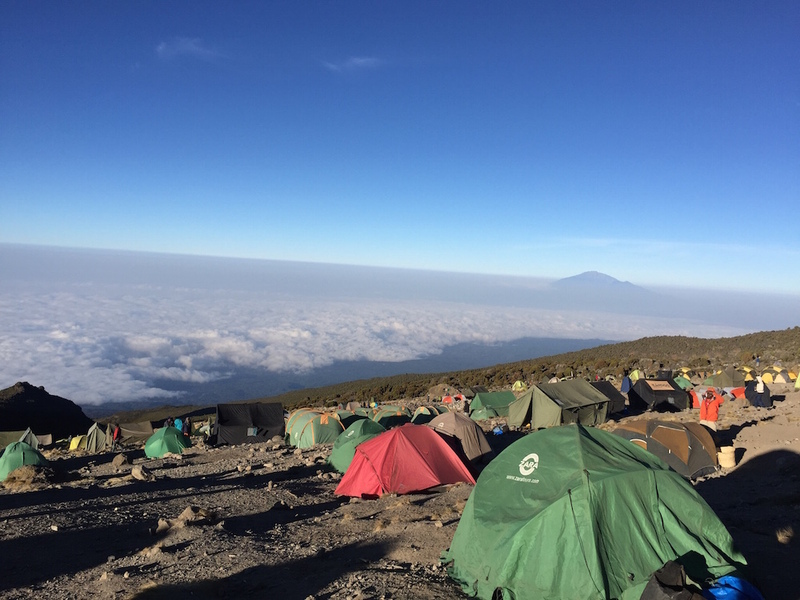 As the sun came out at 6:30 we were approaching the first point top of Kilimanjaro – the Stella point (5,750 m). I walked fast and waited for RP to come there. I saw him struggle to climb up. 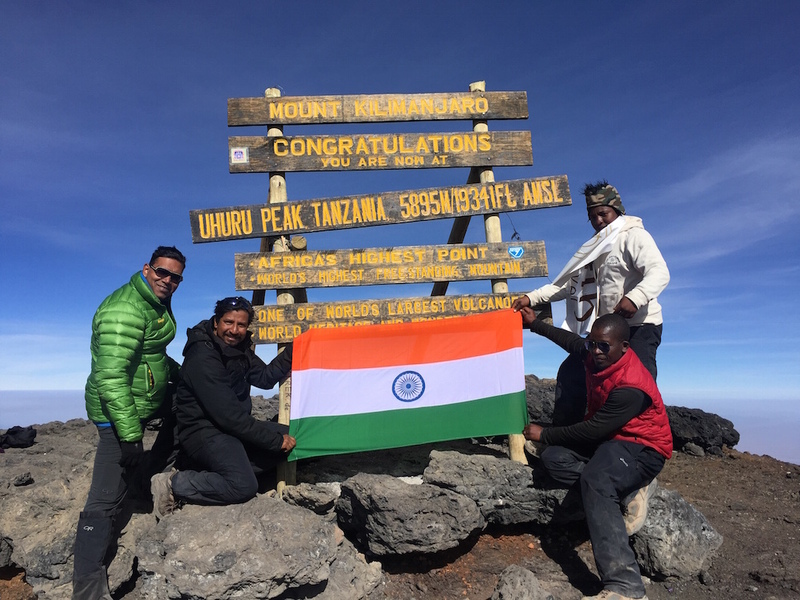 I thought that he would turn back from Stella point as officially it was also top of Kilimanjaro. But that was not to be he refused to even take pictures at Stella point and proceeded towards Uhuru without much ado. I was just amazed at his spirit. Extreme conditions do really bring out the true character in us. We took quite a few pictures together and he proceeded to head back not intending stay longer there in the thin air. We spend a lot of time (in life as well) getting to the top, only to discover that it is not only lonely, it is uncomfortable as well. I waited for RP and then further waited for the crowds to vacate the milestone so that we could have some pics together. I quickly took some selfies, videos and then was on my way down with Frankie leaving Living and RP behind. The way down was quicker than expected, sliding down the loose gravel for most of the way ensured that I was back in the camp in two hours. RP reached 15 min later. All of us had mixed feelings about the climb and we didn’t speak much about it. 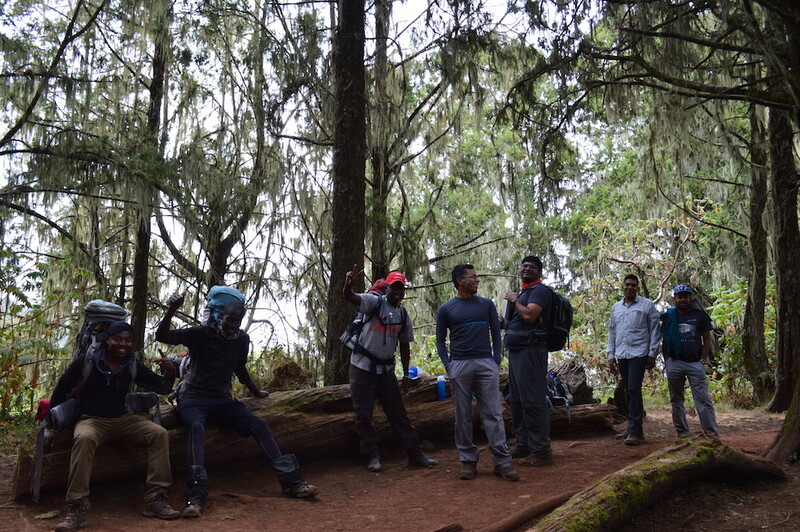 After a quick lunch we started walking down to Mweka camp. With each passing distance going down and additional oxygen in the air, the spring in the step came back and so did the sound in our voices and we slowly started talking about the summit. We met Venky along the way and with high-fives, his jokes and never-ending questions about how much distance to be covered, we finally reached Mweka. After washing from the bowl of water and hot dinner and slept early. We were woken up with the song & dance celebrations from all the camps. And after breakfast, we did the same dancing to the tunes of Hakuna Matata (song from the movie Lion King). After ten days of not taking a bath and sleeping in tents all of us were dying to go back to the nice comforts of a hotel. We literally ran towards the Mweka gate in a scorching pace to reach in just 2 hours followed by a 45 min drive to the hotel in Moshi. Along the way we struck some lovely conversations with fellow trekkers from various parts of the world. Many of them were first and second generation Indians settled in East Africa. 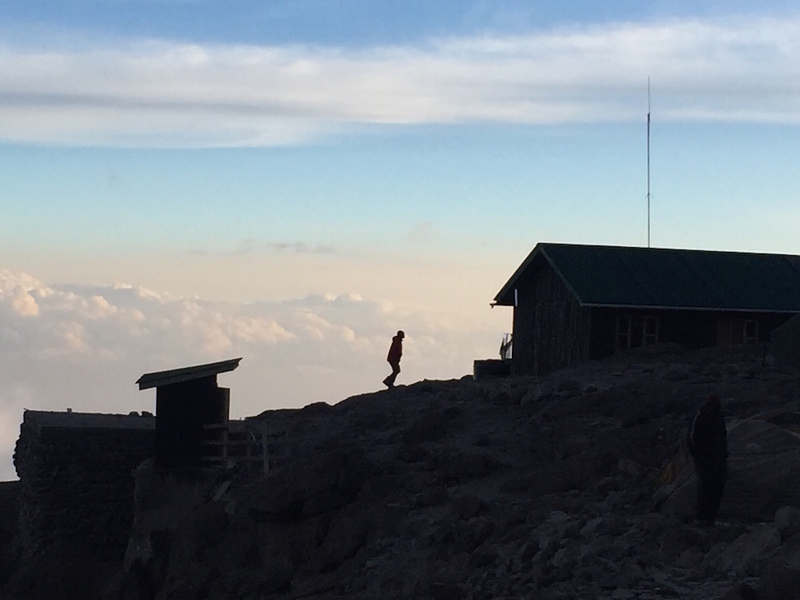 I didn’t dare ask them the question – why climb Kilimanjaro? I think deep inside even after summiting I dodn’t know, but going by the experience in last ten days with the guys and the support team I know for sure that because its all about the journey and not the destination (which is not balderdash at all). Featured in Media: The Times of India – Natakapriya at 19,000 ft.
Hi, is it possible for me to get in touch with RP. I am planning on doing keto climbing kili and could do with any info he could share. Thanks.